Boy, that’s a great question! Hmm. All my characters have some basic traits that are like me, I suppose. Most try to be good people. Most of my characters really do believe in happy endings and falling in love-as I do, too! But usually my characters are usually people not like me. Instead they’re people I’d like to know. Since it’s Christmas time, I’d have to say the quirkiest thing I’ve done lately is decorate way too early for Christmas. And I’ve been known to listen to Christmas music all year long. Yes, it drove my children crazy! I love Christmas music and play Christmas CDs from the day after Thanksgiving until New Years day. When did you first discover that you were a writer? I never thought of myself as a writer until I deliberately sat down and attempted to write a novel. I never thought of myself as a “real” writer until I sold my first book-back in 2000. I’ve always considered myself a reader. I’ve always enjoyed reading. I majored in English literature, and really enjoyed studying the classics. Now, I usually will read romances or mysteries. I read fast, and I can never leave a bookstore (or grocery store! Or Walmart!) without a book in my hands. In college, my favorite place to hang out in was the local library-not the college one! When I was a child, the library was an important place for my family to visit. We brought home loads of books. We couldn’t afford to buy them. How do you keep your sanity in our run, run, run world? I try to keep focused on what is important and not get too stressed about things that don’t matter all that much. I rarely worry about a messy house! As far as writing, I usually have a bunch of deadlines, so I try to concentrate only what is due next, not what is due a month from now. I use a baby name book-the kind expectant moms would buy! For my Amish books, I have copies of The Budget, which is the Amish newspaper. I get all my names from people mentioned in the regional reports. Personally, it’s that I’ve been married 23 years to my college sweetheart and that my college-aged kids still like to come home. Professionally, it’s making the New York Times Bestseller List. Ha! Hmm…I guess I’d be a mole. : ) I’m very comfortable staying home and kind of hiding out from the rest of the world. Especially in the winter! That would be cookies. I love to bake cookies, and have been known to eat too many. As far as actual writing, my greatest roadblock was when I once had a heroine who completely did not want to follow my outline or goals for her! I ended up praying a lot, and asking God to help me meet my deadline, and have the strength to believe in the story and the heroine enough to ignore the outline and my fears. I also have to say that selling A Texan’s Promise was a tough roadblock, too. The manuscript went to many editorial boards and was “almost” sold, but then rejected, for various reasons. I had to learn that there is a time for everything, and that I needed to be patient and wait for this book’s time. Once again, God’s timing was perfect. I know what you mean about that. My McKenna’s Daughters series was like that. Tell us about the featured book? A Texan’s Promise is a western historical romance set in Texas and Colorado in the 1870’s. My hero, Clayton Proffitt, is just wonderful! He’s honorable and noble and willing to do whatever it takes to help the woman he loves. My heroine, Vanessa Grant, starts out as an extremely vulnerable woman in the worst of situations, but then finds enough to strength to save Clayton from himself. A Texan’s Promise features a whole cast of characters, who have been hurt in one way or another by war and hardship but have become better for those experiences. I wrote the book for fun on weekends and in the evenings. I guess you could say in a lot of ways, it’s the book of my heart. Clayton! He stood in the doorway to the stables, his presence both a soothing balm and a source of panic. I can’t wait to read this book. How can readers find you on the Internet? I hope readers will visit my website: www.shelleyshepardgray.com, or on Facebook, too! I write a blog a few times a week, and am on FB almost every day. Thank you, Shelley, for the interesting interview. If you’re reading this on Feedblitz, Facebook, or Amazon, please come to the blog to leave your comment if you want to be included in the drawing. Here’s a link. Welcome back, Melanie. Why do you write the kind of books you do? I write the kind of books I like to read—intensely romantic historical romances. I try to write the most entertaining stories I can, but with some depth to the characters and the plot issues. I love the Medieval time period, and I got into writing fairy tales because I love them but I wanted to give them more depth and make them more realistic. Hmm, it’s a really close call between my wedding day, the births of my two children, and the day I found out Zondervan was publishing my first book! In some ways my life hasn’t changed at all. I still have to clean the toilets or they don’t get cleaned, still have to cook and wash dishes and do laundry and take the kids to school and go to their extracurricular activities. Now that I think of it, the only real difference is that I sometimes go on trips related to being published, do book signings and/or public speaking, and do a few interviews per year. That’s it. Lately I haven’t been able to get into anything. I have been doing research and reading some books on Regency England. Fiction-wise, I just haven’t been in the mood to read! Which feels strange and surprises me as much as anybody. I am working on a Regency, but I have just finished a Snow White story and have a Cinderella story in the planning/plotting stage. I must feature them when they release. What would be your dream vacation? To go to Germany and England and tour castles. Usually I just know the setting even before I know the characters or the whole plot. Setting is a huge part of the story for me. Beth Moore, because she is so spiritual and seems to have a lot of the same struggles I do. She is an amazing woman of God. Actually, she’s going to be the main speaker at the Women’s Retreat at my church next spring. I can hardly wait. What are your hobbies, besides writing and reading? I like to cook, to bake and make new recipes, and I still like to scrapbook, even though I hardly ever do it anymore. Just sitting down and writing the first draft is the hardest, because I’m so easily distracted, have a hard time concentrating, and I want to constantly go back and edit what I’ve just written. I sometimes go to a public place to write, like a restaurant, which seems to help me concentrate. Persevere. And work hard. Write and read and repeat. Study the craft of writing like you’re cramming for a final exam. And pray. Commit your plans to the Lord. Ask him for guidance and help, and pray without ceasing. The Merchant’s Daughter is a Medieval romance. It’s also a fairy tale retelling based on Beauty and the Beast. Zondervan is publishing it as a Young Adult novel, but I think it appeals to anyone who likes historical romance. My hero and heroine, Annabel and Lord le Wyse, have had some devastating, painful betrayals in their pasts. Their story will help readers to discover, along with Annabel and Lord le Wyse, how to overcome their fears, how to trust God, and how to learn to love and laugh and be joyful again. I love the gradual way my two characters learn to trust each other, to trust God, and to fall in love. Isn’t that what the Beauty and the Beast story is all about? Annabel sat in the kitchen shelling peas into a kettle at her feet. A bead of sweat tickled her hairline while only the barest puff of warm air came through the open door. Her brother called from the main house. He thinks he doesn’t have to help with the work, but I should abandon my task and come running whenever he calls. She hurried from the kitchen. Edward stood propped against the wall in the spacious front room of their stone house, scraping under his fingernails with a sharp stick. When he lifted his head, his green eyes fixed her with a hard look. “Mother was summoned this morning to appear before the hallmote. The new lord is coming to Glynval. Even if the hallmote is lenient, I’ve heard he is far from forgiving. What will happen to us? To you?” He thrust the stick at her face. Annabel bit back annoyance at her brother’s derisive tone. For the past three years he had stood by, just like the rest of her family, refusing to do any of their required work in the fields, putting them all in this situation. I'm so glad my copy came the other day. I will be reading it soon. How can readers find you on the Internet? and visit me on my website, www.MelanieDickerson.com where you can watch the awesome trailers for The Healer’s Apprentice and The Merchant’s Daughter, which were shot at the same time as my covers. Thanks so much for having me on your blog, Lena! God bless you and your readers! It was a true blessing to me as well, Melanie. Welcome, Yvonne. Tell us how much of yourself you write into your characters. Though I don’t know if I succeed very well, I try to separate myself from my characters because I don’t want a bunch of little clones running across the pages. But some things, particularly the faith of the protagonist, are very much mine. Writing a science fiction series though I was never a sci fi fan. Fourth grade. Once when we were supposed to write a sentence using each of the week’s spelling words, I made the sentences tell a story. The other kids got mad at me because they thought I was showing off, but I was just having fun. I couldn’t figure out why everyone else wasn’t doing it too. I like books with depth, that make me think, that raise interesting questions (even when I don’t agree with their premise) or that teach me something I never knew before. I don’t like formulas, I do like surprises. I like subtlety. I like humor. I like stories that resonate in my mind long after I’ve put them down. I keep my life as simple as possible. I learned long ago to say “no” and make an effort not to over-extend myself. And I start each morning in prayer and Bible study. Martin Luther is quoted as saying, “I have so many things to do today, I must spend at least the first three hours of it in prayer.” I’m sorry to say I’ve never spent that long at it, but I do take it seriously. Depends on the characters. Native Gannahans all have Hebrew names, so I look in the Bible for those. I try to make meaning of the name suit the personality of the character. The characters from the other planets have made-up names that came from my imagination. As far as Earthish characters, I don’t have any particular way of choosing names. I just try to find something that fits. After my first child was born, I was certain that, although women had admittedly been having babies for millennia, no one had ever done it as well as I did. I mean, I was completely convinced of that, and was enormously proud of it. I eventually came to see how foolish that is, and I can’t say I’ve ever been proud of any other accomplishment. Instead, I’m immensely thankful for the opportunities the Lord as graciously granted me. I’d probably be a cat, because I’m self-sufficient and don’t require a lot of attention. But certainly not because I’m graceful! Let’s say I’m a clutzy cat. I love good food and couldn’t pin down a favorite to save my soul. Thankfully, the salvation of my soul doesn’t depend on that. Time. Finding it, organizing it, prioritizing it. Still working on that. Tell us about the featured book? The Story in the Stars is a space fantasy. The first in a series called Gateway to Gannah, it was inspired by a nonfiction book called The Gospel in the Stars, which presents the theory that the constellations proclaim the gospel to the world (Psalm 19:1-3). I thought it might be interesting to write a story based on that concept, but things quickly got out of hand. The Story in the Stars imbeds the message of Christ’s redemption in a sweeping tale of adventure involving old racial animosities and cultural misunderstandings, an attack by space pirates, a treasure hunt, and some teasing romantic tension. Though the truth of the gospel is treated seriously, the surrounding events are fun, and there’s a bit of humor scattered throughout. Dassa trudged through the Ayin Forest across a crusted snow, her weary steps fueled by the nearness of her goal. Soon, she told herself. Soon this will all be over. On much of the planet Gannah, winter was drab as an old faded photo, but the foliage in Ayin boasted the colors of a prism and the trees kept their leaves until spring, when the new growth pushed them aside. The frosty forest pulsed with color as Dassa quickened her pace despite her exhaustion and the steepness of the slope. Labored breath billowing like smoke from a puffing firedrake, she crested the ridge and cast her gaze into the valley below. A warm rush of delight coursed through her weary body. There it was. Home, the comforting outlines of the domed green roof barely discernable through the trees. Revived by the sight, she hastened down the hill across the sun-spangled snow. She smiled as the round, two-storied house came into view. It was no mansion, like her childhood home. It couldn’t compare to any of the seven provincial palaces from which her father, the toqeph, reigned as the ruler of all Gannah. But she could think of nowhere she'd rather live than in this yellow stone cottage at the edge of the forest with her husband, Rosh, and their two boys. Nor could she imagine a more perfect late-winter's day. Gannah's volatile temper was unusually mild that afternoon, with the sun smiling down from an azure sky and breezes caressing with a mother's gentleness. And today, this most beautiful of days, she, Atarah Hadassah Hagah Natsach, would finish her quest and be made Nasi. My blog is at http://www.YsWords.com. I’m also a regular contributor to http://www.NovelJourney.blogspot.com. Thank you, Yvonne, for stopping by to visit with us. Welcome, back, JoAnn. Why do you write the kind of books you do? Nothing is more precious than love. Of course, there are many forms of love, none more powerful than our God who loves us with a passion well beyond our human understanding. Is anything more exciting than that first blush of love, that tingly feeling, that shortness of breath from a glance or touch when a man and woman first realize there’s something between them (whether they want to acknowledge it or not)? If you’ve read my debut novel, Awakening, you’ll know I don’t write formulaic romance. Sure, it follows the basic formula, and I’m a firm believer in uplifting, happy endings. When you start the book, you pretty much know how it’s going to end, but it’s the unique journey of the characters that makes the difference. The most important element in my romances is faith. Readers know when they pick up one of my books, they’re going to get a solid biblical message. The spiritual journey of a character should be interwoven in a natural, seamless way into the story. As long as I stay true to the Lord with my writing, I know He’ll continue to open the doors of His choosing−in His time, not mine. I’m blessed to have experienced great love in my life and have been married to the same man for almost a quarter century. While not a prerequisite for writing romance, I know it’s enhanced my own writing. Your questions are very thought-provoking, Lena! No way can I possibly choose one, and I must differentiate between my family life and my writing life. I have to say our wedding day and the days each of our three children were born were the happiest days of my life. One thing I find interesting: I had three attendants in the wedding−one in pink, one in blue and one in purple (all pastels). The birthstones of our children are those exact colors! Maybe it’s just me, but I thought it was pretty awesome. As far as my writing life, there are three happiest days (so far): May 1, 2010, when I received my first book contract. Second, the day I held my debut novel in my hands for the first time and third, the day I saw my book listed on Amazon.com. These days all signified the culmination of study, hard work, pure grit and determination, not to mention tons of prayer! I am so blessed. I’ve gone from being a “wannabe” unpublished writer to the ranks of, “Oh, she’s an authoress! How exciting!” I don’t get moved to the front of the line, and receive no special privileges or perks, but it seems I have gained a certain amount of renewed respect and admiration from friends, relatives and colleagues, especially since the publication of my first book. I suppose it’s further validation that my first novel wasn’t just a fluke! I still scrub the tub, wash laundry and dishes, stand in line at the grocery store and do all the normal things of everyday life. In terms of my writing career, I’ve spent a great deal of time on marketing and promotion. It’s like this invisible line you cross once you’re published, and it’s time to step out and gain name recognition. It helps that I’m a naturally outgoing, assertive person, but a lot of writers aren’t, and the challenges can be daunting. Like everything else, I take it one step at a time. My answer has changed about four times during the course of working on this interview. First it was Janice Thompson’s Hello, Hollywood! Then it was Sandra Bricker’s Always the Wedding Planner, Never the Bride. Then it was Sally John’s Desert Gift and─the real answer to your question─I’m currently reading Myra Johnson’s One Imperfect Christmas. I’ve also been reading a lot of terrific historical fiction in the new releases by Karen Witemeyer, Laura Frantz and Tamera Alexander. I have several irons in the fire: the primary one is the third installment in The Lewis Legacy Series, called Twin Hearts. It’s written, but needs polishing. Torn Veil Books plans on releasing it in early spring 2012, if not earlier. At this moment, I’m working on a new, stand-alone contemporary romance called Catching Serenity set in my husband’s hometown of Newport, Rhode Island. I’m excited because it’s different in that it’s not a suspense novel, but rather solving the mystery of what really happened five years ago in the heroine’s life, putting the pieces together and proving things are often not at all as they seem. I’m also developing a three-book series based on a novel I wrote a number of years ago set in the picturesque Oxford Hills of western Maine. For the most part, I write about places I’ve either lived or at least visited. It brings the setting to life and resonates with readers. San Antonio was the primary setting for my debut novel, Awakening. I only spent one three-day weekend there back in the early 1980s, but I fell in love with the sights, the sounds, the history, and everything about it. In Second Time Around, Marc and Natalie’s century-old home is based on our house in Burlington, Massachusetts, and I pay homage to the Boston area in this new book. One of my upcoming books takes the reader to London, England, where I lived for a college semester, and I incorporate some interesting but fun facts of that city in the book. I love making the setting a character all its own! This is the most challenging question to answer, Lena, and I even posed it on Facebook to get some suggestions. I received varied responses, but most, like me, find it difficult to name only one person. The people with whom I’d most want to spend an evening have already gone on to glory─my dad and grandmother. I’d love to tell them about moving back to my hometown (something I thought I’d never do) and becoming a published author. If Mark Twain were alive, I’d want to speak with him since I adore his wit, humor and irony. Okay, in terms of someone alive today (and I witnessed a horrifying accident on the highway today three cars ahead of me which proved all over again how fragile life really is─thankfully, the three people in the car were okay), I’d say Steven Spielberg. I’d love to pick his brain about everything from how he chooses his projects, how he knows which actors are right for the story, choosing locations, editing, and everything else involved with bringing a story to the big screen. Mr. Spielberg obviously knows which elements make it work. Mind you, I have no interest at this point in screenwriting, but I think in terms of actual storytelling, he’s an absolute master. Granted, I might choose another person next week, but for today, that’s my answer. At this point in my life, I honestly have no hobbies other than supporting our children in their various endeavors (which usually involve music), and I am a voracious reader (mostly Christian romance). Otherwise, since I work a full-time job, it’s pretty much all about the writing since I don’t have time for much else. It completely absorbs me, and I’m sure my family could tell you stories. I try not to be obnoxious, but sometimes I have to close my mouth and swallow my words because I know they really don’t want to hear another observation or comment. They put up with a lot, but they love me unconditionally, pray for me and tell everyone they know about my books. Really, what more could I ever ask? I’m brevity-challenged. I know it’s hard to believe, and it’s a polite way of saying I’m wordy. Bombastic. Long-winded. Take your pick. Thankfully, my publisher lets the story dictate the length of my books, and they haven’t cut the word count even though my first two books are longer than most contemporary romances. The Lord knew which publisher I needed, but in some ways they’ve spoiled me (I’m not complaining, and it’s all good). I spend a lot of time editing, and that’s the way I overcome a lot by cutting out the extraneous. Perhaps my biggest sins are repetition (repeating the same word, sometimes too close together) and omission (those little words can be stinkers and the mind’s eye sees what it wants no matter how many times you go over the manuscript). I love entering flash fiction contests because I’m forced to write a story in only 300-500 words and every word is so important. It makes you value and appreciate the sheer power of words. What I find interesting is that not one reader/reviewer/critic has mentioned the length of my books as a negative factor. In fact, most say my writing style flows, is easy-to-read and keeps them turning the pages, and that’s always something a brevity-challenged writer absolutely loves to hear! First of all, pray and commit your words to the Lord. Ask him to guide you, give you inspiration and open the doors at the “right” time of His choosing. Secondly, educated readers make better writers. I’m astounded by aspiring authors (even some contracted authors) who haven’t read other books in their genre, especially in the Christian market. Study the market, do your research, but most importantly, do your homework–meaning write, write, and then write some more. Find your unique voice and explore your passion. Those are the things that will distinguish your writing from the dreaded slush pile. So many new writers seem hung up on “the rules,” but I would encourage them to write the story first. There’s plenty of time later to go back and fine tune your manuscript. It’s true that a great story trumps anything else. Find a good critique partner (at least one), join the American Christian Fiction Writers or other writing group (most being published in Christian fiction today belong to this group), and go to writers’ conferences, if possible. At the very least, establish a website, blog, and network in various ways to make your name known. Do at least one thing every day (other than writing) to further or enhance your writing goals. It’s an exciting journey, but keep plugging away! Second Time Around is a contemporary romantic adventure, the second in The Lewis Legacy Series and the follow-up to my debut novel, Awakening. Both are published by Christian romance publisher, Torn Veil Books of Winnipeg, Canada. The short-version synopsis: A fateful misstep steals a newlywed’s memories and becomes her groom’s fall from grace. Determined to help her reclaim her life, Marc Thompson makes great strides until a ghost from the past threatens to destroy it all. Join their journey as Marc and Natalie travel from Massachusetts to Montana and enlist the help of Sam and Lexa Lewis and the lively TeamWork crew. Along the way, they discover that surrendering all isn’t failure, it’s faith, and it might be the only way back to one another . . . the second time around. Second Time Around has grace as its central theme, with Hebrews 4:16 as the key verse: Therefore let us draw near with confidence to the throne of grace, so that we may receive mercy and find grace to help in time of need. (NASB). Forgiveness is also a major theme. The pervasive truth I’d like readers to grasp from this book is this: when we put ourselves aside, give up the reins and realize Someone else is in control, He will bless. In this “I can do it on my own without any help” generation, so many people have trouble surrendering to Someone much more capable. But when they do, they find strength, solace, comfort, peace and incredible joy. It wasn’t the bloodcurdling scream that made Marc’s heart pound. Not even the sickening thud. It was the silence. Rushing from the master bedroom on the second floor, he stumbled as he scrambled down the winding servant’s staircase. Calling Natalie’s name, he dashed into the kitchen. “Where are you?” His voice echoed in the cold, eerie stillness of the century-old house. Based on the sounds he’d heard, Marc followed his gut instinct. With a rising sense of dread, he darted toward the open basement door. Switching on the light, he tried to see in the dim light. His eyes focused on something lying prone on the cement floor below. On her stomach—her head turned to the right, arms outstretched—she made no sound, no movement. Marc’s labored breath caught in his throat, and an anguished groan escaped from somewhere deep within. Flying down the staircase, he avoided the rotted step that must have caused her fall. The gaping, jagged hole in the wood mocked him. Cursing it under his breath, he sank to his knees on the hard, cold floor beside his bride. He didn’t know whether he should touch her, but all he wanted was to pull her into his arms and hold her. He put two fingers on her wrist. Warm. Beating pulse, but slower than normal. Being careful not to move her neck, he brushed aside strands of silky dark hair as he checked her forehead and then the back of her head. Slight relief radiated through him when he found no bleeding or open head wound. Leaning close, he whispered in her ear. That always tickled and got a rise out of her. “It’s me, Marc. Speak to me, sweetheart.” His heart pumped harder, and prickles of fear pierced him to his core. He reached for her, but lowered his hand to his side. He had to do something to help. Managing to run back up the stairs on numb legs, avoiding the splintered step, Marc grabbed the phone from the kitchen wall. His hand shook so much, he almost dropped it. At least all he had to remember was 9-1-1. For a guy who thrived on numbers, he was incapable of anything more. He punched in the numbers, muttering under his breath, shifting from one foot to the other. God, don’t take her from me. It wasn’t a request. It was a threat. I’d love for readers to visit my website at www.joanndurgin where they can learn more about my books and personal writing journey, my family and some fun little tidbits. I’ve recently added a blog and hope to make it interactive with Christian romance readers. I’m also on Facebook and am a regular contributor with Hoosier Ink. SusanH (TX) is the winner of Bittersweet Justice by Victoria Burks. Beemama (MS) is the winner of A Harvest of Hearts by Laura V Hilton. Amanda Sue (WI) is the winner of His Grace Is Sufficient...Decaf Is Not by Sandra D Bricker, Loree Lough, Trish Perry, and Cynthia Ruchti.Marianne (Alberta) is the winner of The Prophetess One: At Risk by Linda Rohrbough. Jess (WA) is the winner of Composing Amelia by Alison Strobel. Robyn (NE) is the winner of The Other Side of Darkness by Linda Wood Rondeau. If you won a book and you really like it, consider giving the author the courtesy of writing a review on Goodreads, Amazon.com, Christianbooks.com, Barnes and Noble, or other Internet sites. Also, tell your friends about the book and this blog. Thank you. So glad to have the two of you back on my blog with one of your heart-pounding suspense novels. What are some of the spiritual themes you like to write about? With careers in law and law enforcement, we have lived in the midst of much adversity and trouble. Each one of our “factional” thrillers reveals an aspect of our personal faith in Christ Jesus. We have explored how Eva Montanna, a federal Special Agent and believer, dealt with the death of her sister on 9/11. As Eva’s faith falters, God gives her a new beginning as she tracks down the masterminds who fund terrorism. This feisty and courageous agent learns to rely on God. Also in Facing Justice, another character faces his failures and learns to trust in Jesus. Our subsequent novels examine the beauty of forgiveness and how we as believers can show the love of Jesus to friends and family (Confirming Justice); how God sends His protection for those who follow Him (The Camelot Conspiracy); reliance on God for all our needs, especially in difficult circumstances (Hero’s Ransom); and how a believer’s firm insistence that she cannot marry a non-believer brings him to a place where he discovers the liberty in Jesus (Redeeming Liberty). In The Joshua Covenant, readers are immersed in a fast-paced plot as CIA agent Bo Rider is thrust in Israel surrounded by enemies on all sides. We had an intriguing time blending ancient truths from the book of Joshua with modern-day turmoil in the Middle East. God’s promises to His people take center stage. The Joshua Covenant released on November 11, 2011. Bo Rider CIA is assigned to America’s U.S. Embassy in Tel Aviv and in his second week discovers there is a spy leaking secrets. Bo and his family are in for a wild ride. We so enjoyed bringing Bo’s two children to life in Joshua, that we are expanding our writing to young readers. It is our prayer to release Night Flight in the fall of 2012. While it is aimed at teens, we hope adults will also enjoy reading about Bo Rider and the adventures of his kids. After they adopt a retired law enforcement dog, the family discovers excitement and what it means to love your neighbor as yourself. Diane – Franklin Graham, the son of Billy Graham. He is sold out for Jesus with Samaritan’s Purse and is never ashamed of the Gospel. He brings the love and truth of Jesus all around the world, including North Korea, South America, Alaska, and everywhere. If only I could have his vision and drive to save the world. He is in my many prayers. David – Juan Williams, author and former NPR commentator, now with Fox News. While he and I probably don’t agree on many subjects, I think a conversation with Juan would be civil and stimulating. I would like a chance to be salt and light to him. David – I would like to interview Judas, the disciple of Jesus, a man who never wrote about his time with Jesus. He was flawed like most of us and betrayed Jesus, but in doing so, he fulfilled God’s plan for Christ’s crucifixion. What would he have to say now? What might he write about his regrets? Diane – A writer whose work has had a tremendous impact on me and my own writing is George MacDonald, the Scottish writer, pastor and poet, from the late 1800’s. His fiction is genius. My faith is stronger after reading his novels, where he weaves in tenets of the Christian faith in exciting plots, and also the genuine love of Christ. If your readers have not read his books, I urge you to check them out, starting with The Curate’s Awakening. Never give up and keep praying for God’s blessings on the works of your hands. Jeremiah 29:11 says God has a plan for us, a plan to give us hope and a future. Each person is created by God to be unique, with his or her own talents. 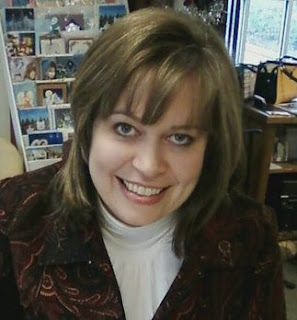 Diane started writing in the late 1990’s, doing research for an historical fiction. David typed every word she wrote on yellow legal pads. Taking this manuscript to a writer’s conference led to meeting our first publisher and being offered a contract for suspense. The offer came after about eight years of writing, studying the craft of writing, and honing the story. So what we thought was going to happen, didn’t. And God had a better plan for us—to write together stories with a factional twist, using our long careers. On a final note, nothing is impossible for God. Lena, thanks for the opportunity. In The Joshua Covenant, we blend in David’s days as an NCIS Special Agent and some of Diane’s time as a federal prosecutor. We call our books, “High Velocity Suspense,” but we do not use graphic descriptions. In our latest family-friendly adventure, we ratchet up the intrigue and throw in several surprises as we take readers behind the scenes of espionage in the Middle East. After years of clandestine spying, CIA agent Bo Rider is posted to the U.S. Embassy in Israel where he is rocked to find a menacing plot against America’s ally. His wife Julia loves being in the ancient land of the Bible and finds her new-found faith in God soaring. She home schools her two children, thirteen-year-old Glenna and eleven-year-old Gregg, bringing them on tours with a Bible scholar. When Bo’s life is threatened by an unknown enemy, he finds help from a surprising person: the same Bible scholar. Plunged into a search for an elusive spy, Bo discovers how God’s covenant to the Jewish people intersects with His prophecy for the end days. Meanwhile Bo battles sinister forces that challenge not only his loyalty, but also his identity. He faces the greatest threat ever to his career, his family, and his life. (Bo stars in Hero’s Ransom and Redeeming Liberty, but all our books can be read in any order). In The Joshua Covenant, we give readers a glimpse of tomorrow’s headlines in the Middle East. Although the book is just being released, several events we write about are coming true. Read to the last page for the ultimate thrilling conclusion. Julia Rider bounced onto the cable car with a smile, her dream of journeying to this old-new land finally coming true. She marveled at the aqua sea rolling against Israel’s northern coast. Suddenly the steepest cable car in the world lurched and she rocketed down the sharp cliffs. Panic erupted, crawling up her throat. How could she remain calm in front of her children? Though Gregg and Glenna giggled at the fast approaching water, Julia tried to steel herself. Strong winds jolting the cable car roiled her stomach. She squeezed her eyes shut. “At the bottom, I’m searching for gold coins,” Gregg shouted over roaring winds. Julia gripped the middle railing, wishing she hadn’t listened to Clara Cohen. The Ambassador’s wife had coaxed her and the kids to join the last-second tour with other embassy wives to the towering Rosh ha-Nikra and the grottos. Her husband, Bo, toiled at the U.S. Embassy in Tel Aviv, completing an urgent project for his new boss, Ambassador Hal Cohen. Someone shook Julia’s arm and she popped open an eye. “Mom, look! You’re missing the best part.” Gregg pointed at rugged cliffs zooming by. “Cool! Watch those jets diving,” Gregg chirped, his nose plastered against the window. Julia’s daring glance upwards was rewarded by the sight of a jet swooping dangerously low. She reached for Glenna, and her thirteen-year-old daughter hurtled toward her just as two more fighter jets roared overhead. A moment later a huge explosion and fireball erupted in the sky. Check out our website: www.DianeAndDavidMunson.com, where readers can sign up for our free, quarterly newsletter. We announce appearances, new releases, and we hold contests. http://DianeAndDavidMunson.com/blog where we write a weekly posting about the hit TV show, NCIS, and have offer insiders’ comments on law and justice headlines. From our website, readers can find our Facebook “Fan” page or follow us on Twitter. Thank you so much, Diane and David, for dropping by. Our visits are always stimulating. Welcome back, Loree. Since you’re being published regularly, what new avenues will your future books take? First, let me thank you, Lena, for providing this opportunity to communicate with your blog's followers. You are such a generous, big-hearted lady, and I'm proud as I can be to call you Friend! As for the avenues my future books will take? If more stories are in God's plan for me, I pray that the themes in each story will continue to highlight His mercy, forgiveness, and steadfast love for His children, even when they've strayed from Him. What conferences will you be attending this year? Will you be a speaker at any of them? God willing, I'll attend ACFW and ICRS. No plans to lead workshops at either, but, I'm always available as a backup in case someone gets laryngitis or needs to cancel at the last minute! If you were in charge of planning the panel discussion at a writing conference, what topic would the panel cover, and who would you ask to be on the panel, and why? I'd put together a panel that helps authors better understand "rights" clauses in their contracts, and I'd invite people in the know: One or two well-respected agents, a few people from publishers' legal departments, an entertainment attorney, and a couple of authors whose careers have demanded that they learn more about this hazy, confusing area of the industry. Sign me up. I’m very thankful for the agent God brought to me. How important is it to you to be active in writing organizations? It's paramount, for lots of reasons! For one thing, our work demands countless hours of solitude, and it's such a blessing to get together with others who spend the bulk of their days at the keyboard. For another, the workshops provide invaluable, up-to-the-minute information for writers, published and soon-to-be. Finally, getting involved in a writers' group—whether local or national (or even international! )—is a wonderful way to give back to those who've supported us over the years! You usually won't see me "doing," because I love behind-the-scenes work, like baking for fundraisers, collecting and delivering used and new items for the needy, or cleaning, shopping, cooking for folks who are housebound, etc. Hospital and hospice visits, or "marching" to raise funds for the charities closest to my heart are about the only time I get out there in public! Who are the five people who have made the most impact on your life, and how? 4 & 5. my parents, because both had a talent for writing and a love for God that was passed on to me. That’s the truth. What would we do without Jesus in our lives? If you could write the inscription on your tombstone, what would it be? "Here lies Loree, who really did write until they pried the keyboard from her cold, dead hands!" First impressions, thank goodness, really can't be trusted! When marine biologist Holly Leonard agrees to help Parker Brant write a book on giant sea turtles, she expects a charismatic charter boat captain—not a straight-laced former soldier with a tight lid on his emotions. For his part, Parker is surprised to find that Dr. Leonard is not the matronly grandmother he'd imagined, but a blue-eyed beauty who's warm, fun—and totally clumsy. When she first breezes into his well ordered world, they seem completely incompatible, and only time will whether or not they're a perfect match. Sounds like a real interesting story is brewing. Please share the first page with us. Holly steered the sporty convertible onto Center Street, where the houses glowed with summery pastel hues and vibrant awnings shaded outdoor cafes and sidewalk sales. Everything about the charming South Carolina town whispered "Welcome," from the soft hiss of waves that lapped the sand to the briny sea-scent of the air. With every puff of the balmy breeze, palmetto palms swayed in syncopated rhythm—like tall dancers on a stage of concrete and cobblestone. Gulls soared overhead, shrieking as the swooped in to grab a discarded French fry or cookie crumb. A sense of belonging enveloped her, inspiring a quick and heartfelt prayer of thanks that she'd finally arrived. Folly Beach seemed like a perfect name for the town, considering all the foolishness she'd endured to get here. So much for her father's step-by-step directions and the loan of his GPS. If anyone back in Baltimore knew how far out of the way she'd driven—or how many times she'd been lost—Holly would never live it down. At least the weather had cooperated. Just outside of Richmond, where she'd stopped to top off the gas tank and get directions back onto the highway, she'd put down the convertible top. The sun on her face felt so wonderful that Holly almost forgot about the crazy detours. Yawning, she slowed for a traffic light. Tucking windblown curls behind her ears, she pulled down the visor mirror. "Rats," she told her reflection, "more freckles." As if she didn't already look more like a high school kid than a nearly thirty something scientist…. Well, there wasn't a thing she could do about that now. The time for action had been at five-thirty this morning, when she'd been so preoccupied with packing shoes to match every outfit that she'd completely forgotten to apply sunblock. The blare of a car horn startled her enough to produce a quiet yelp. With one hand over her hammering heart, she stared into the rearview mirror. "Light's green!" the driver bellowed, pointing up. She started to say "Sorry," but he never gave her the chance. Instead, he sped by on her left, glowering. "Well, I never," she huffed, taking her foot off the brake. "Aren't you just the welcome-wagon poster boy?" I love it. Bring it on!! Where can my readers find you on the Internet? Thank you, Loree. It was fun as it always is with you. I was thrilled when I heard about this expanded edition. I loved the original edition of the book and knew I had to feature the expanded edition as well. BIO: Sharon writes “stories for the hero in all of us,” about ordinary people experiencing God’s grace in unexpected ways. Known for their authenticity, emotional range, and spiritual depth, her novels include contemporary fiction such as The Secret Life of Becky Miller or Stepping into Sunlight and the groundbreaking Sword of Lyric fantasy series which includes The Restorer–Expanded Edition. She’s been a Christy finalist and won three Carol awards. Susan Mitchell thought she was an ordinary homemaker. She was wrong. When she’s pulled through a portal into another world, she finds a nation grappling for its soul and waiting for a promised Restorer to save their people. She has always longed to do something important for God, but can she fill this role? While she struggles to adapt to a foreign culture, she tackles an enemy that is poisoning the minds of the people, uncovers a corrupt ruling Council, and learns that God can use even her floundering attempts at service in surprising ways. This new expanded edition of The Restorer includes an in-depth devotion guide for readers who want to dig into the spiritual themes of the book, bonus scenes providing glimpses of the story through a variety of characters, and fun extras including links to songs and recipes. What was it like developing new material for this new edition? I loved these stories and characters so much that it was a treat to revisit the world beyond the attic. It was fun playing with scenes from new angles and exploring other character voices. The interactive devotion guide was rewarding to write, because it helped me dig deeply into the Biblical themes that inspired elements of the books. How did you decide what bonus elements to add? It was important to me that people would feel that it was worth the investment to own The Restorer-Expanded Edition, even if they had a copy of the original edition. I drew from all the mail I’ve gotten from readers about these books and created the things that I felt would do the most to enhance their experience of The Restorer. Since many readers share that the spiritual themes had a big impact on them, I created the devotion guide to show the foundation of those themes – and also to give more glimpses into the way that Susan Mitchell is loosely inspired by Deborah in the book of Judges. The Bible study and journaling and prayers allow readers to go on their own spiritual adventure as they are reading the novel. I also had fun creating new scenes from the perspective of minor characters. Since the book is in Susan’s first person point of view, it was fun giving other characters like Wade, Tara, Kieran, Nolan, and Tristan a voice. My publisher had suggested including “deleted scenes,” but anything that had been deleted from the original manuscript when the book was first published needed to be deleted. So writing fresh material from a new slant seemed like the way to go. I hope it’s as fun for readers as bonus material on a DVD is for me. We also tried something innovative in using QR codes so that people with smart phones can hover over the symbol and go to a page to hear the music of a song in the story, or read a recipe for a meal that is described in the book. Besides an entertaining read, what do you hope people experience in The Restorer-Expanded Edition? God can use ordinary people in unexpected ways. I truly believe that many women live lives of quiet heroism – whether their battleground is caring for aging parents, raising a child with a disability, fighting a long-term illness, volunteering at their church, or supporting a friend through difficulty. My hope is that Susan’s adventure in an alternate world breathes inspiration into anyone feeling that the road has been difficult in his or her world. Where can people find the book? Thank you so much, Sharon, for sharing this exciting new project with us.